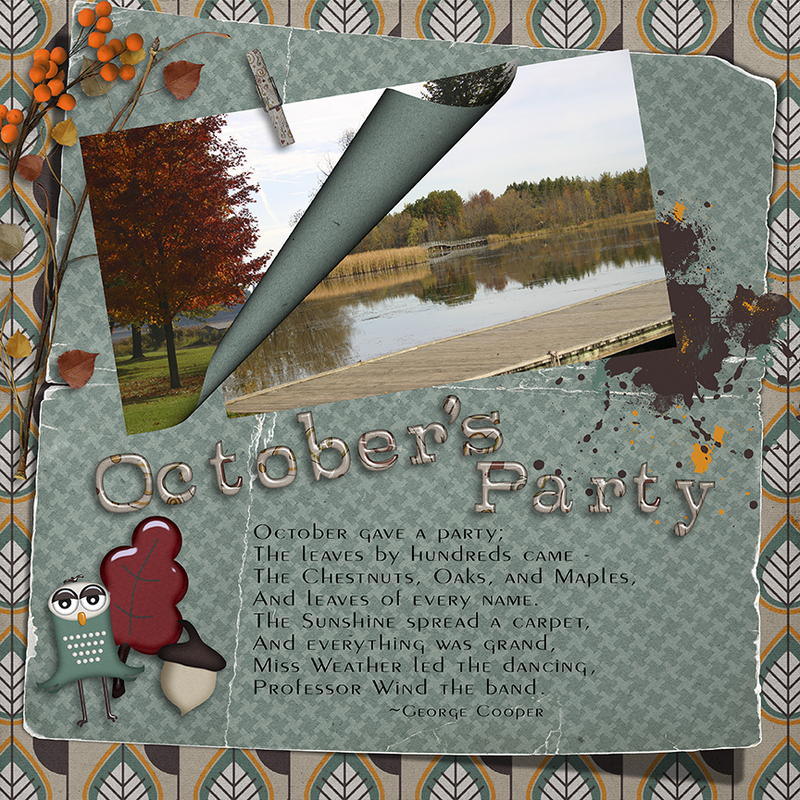 Here are three very different pages I have created with Whispering Autumn, the newest release from Crisdam Designs. These photos above were taken by my daughter, Tiffany. Personally, I think that if she ever wanted to change careers she could be a photographer, but then I am somewhat biased! 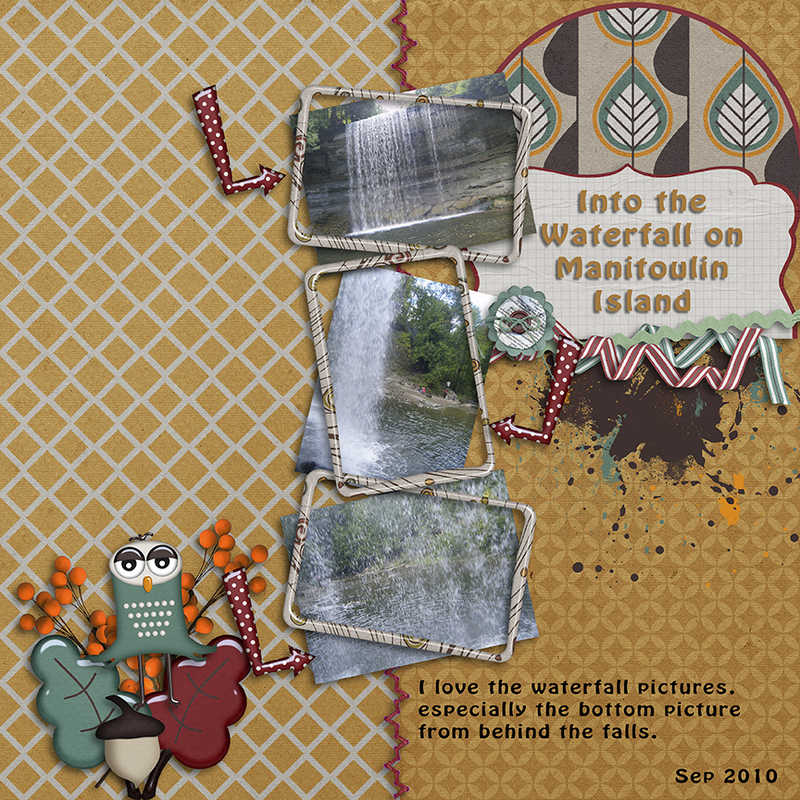 These photos were taken by Kelly, my DIL's sister, during their recent vacation to Manitoulin Island. Another picture taken by Tiffany. 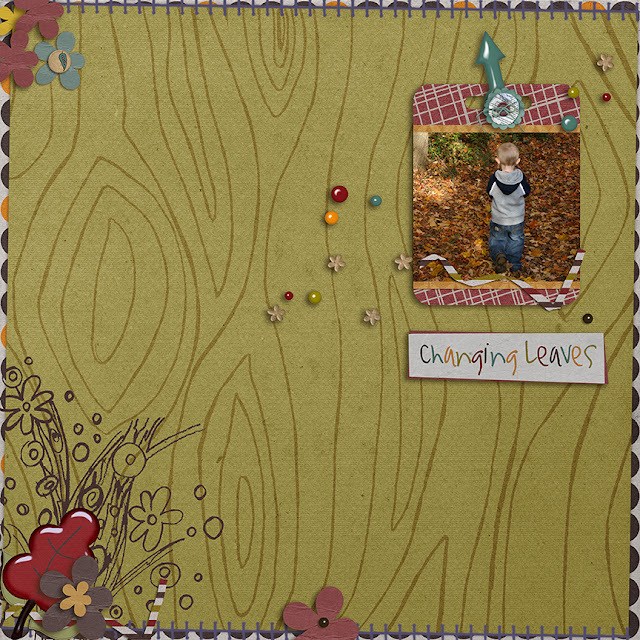 So there you have it, three layouts, three very different presentations of Whispering Autumn. 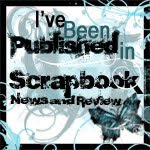 Go get it for yourself and have as much fun as I am having!